Honda’s flagship auto plant in Marysville, Ohio strives for superior energy efficiency and initiatives to reduce unnecessary waste and consumption. This facility ranks among the top 25% auto assembly plants in the nation for energy performance. The plant has also earned Energy Star certification for the sixth year. 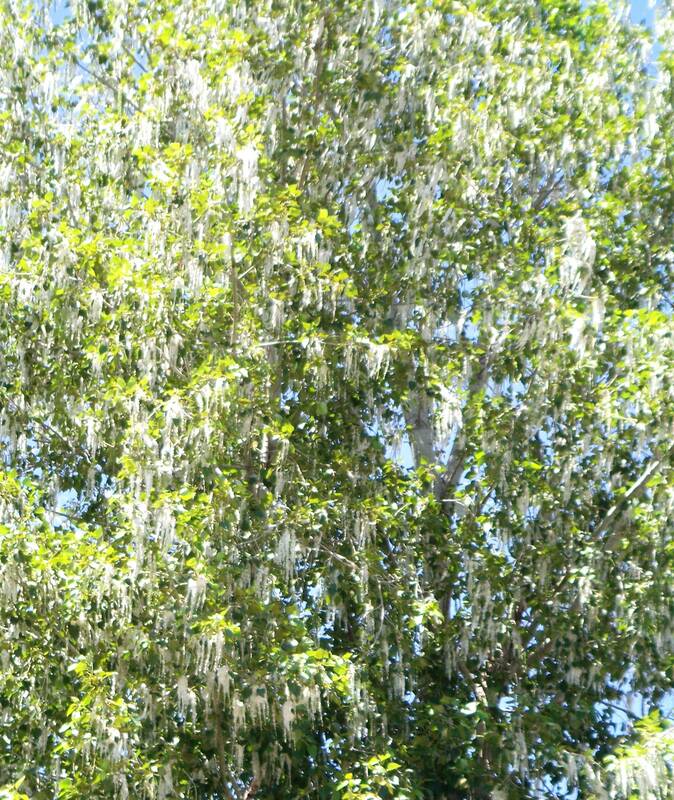 The plant is surrounded by numerous cottonwood trees. 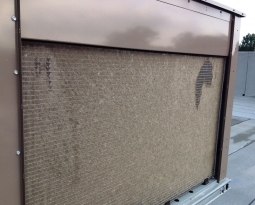 The seeds from the cottonwood trees are carried through the air and into the air intake fins and coils of over 100+ rooftop chillers, dry coolers and cooling towers. 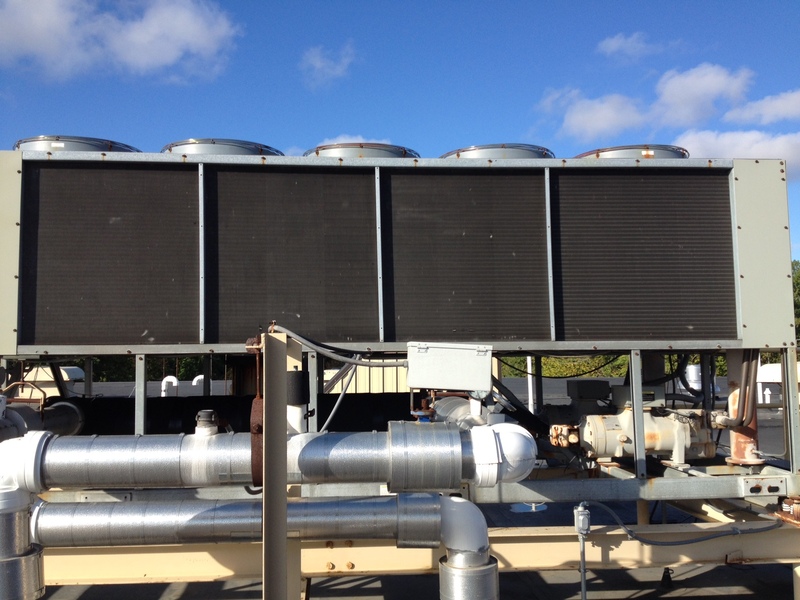 The systems became clogged, creating reduced efficiency and increased energy consumption. 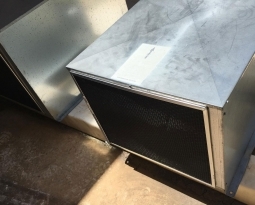 These units needed frequent cleaning, which took approximately 4 hours per unit, with two workers paid overtime during off hours when the units could be shut down. 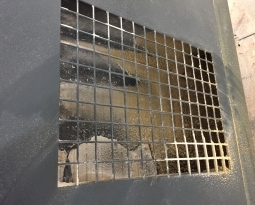 Jim Dysert, Area Manager for Building Management Services, decided to use Permatron’s PreVent® air intake filters to help stop the cottonwood seeds from entering and clogging the air intakes. 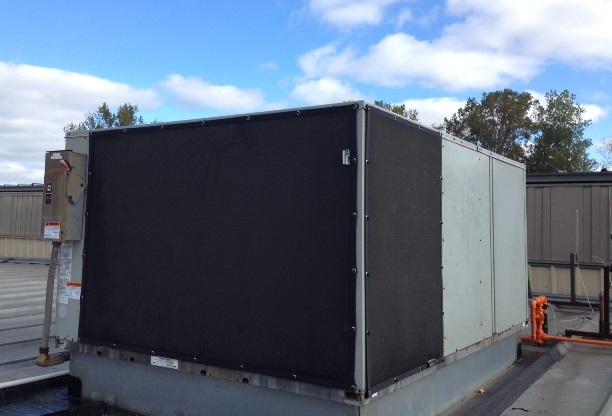 PreVent® woven electrostatic polypropylene air intake filters were custom sized and easily affixed to the outside framework of several chillers and dry coolers. The air intake filters are quickly brushed clean bi-weekly to maintain air flow and factory settings to optimize system efficiency. Dysert saw an immediate return on his investment. 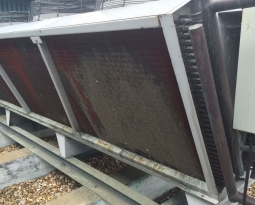 Coil cleaning, which can cost $500 to $6,000 per cleaning (RSES Journal), can now be reduced to every two years instead of two times per year. 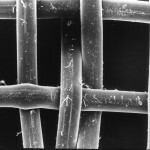 Do the math for your facility savings!